Hollow Glass Microspheres, also called bubbles, microbubbles, or microballoons, are typically made out of borosilicate-sodalime glass blend formulation and provide the benefits of low density, high heat and chemical resistance. The walls of glass microspheres are rigid and typically have the thickness of 10% of the diameter of the sphere. 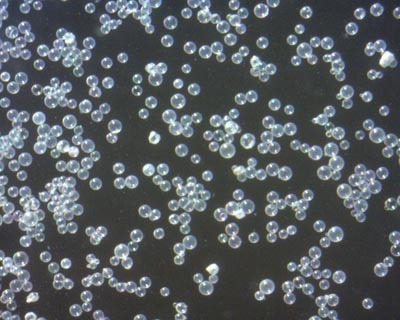 Spherical microparticles are currently available in a broad range of densities from as low as 0.06g/c3 to as high as 0.80g/c3 and sizes from 5um to 180um in diameter. The crush strength of the hollow spheres is determined by the thickness of the walls and, as expected, the higher the sphere density the higher the crush strength. The lightweight hollow glass spheres are chemically stable, noncombustible, nonporous, and have excellent water resistance. 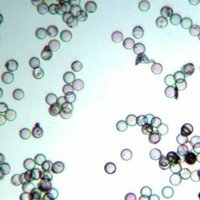 Hollow glass microspheres are also offered with conductive coatings. Conductive coating with optimized thickness provides spherical particles with good conductivity and shielding properties while maintaining the weight-saving benefit associated with hollow-core low-density materials. These conductive microbubbles are suitable for use in military applications, biotechnology, medical devices, electronics, and other specialty industries. Hollow glass microspheres are light-weight, chemically stable materials, frequently used as functional additives to reduce weight (density) and improve buoyancy of materials. Conductive silver coating on hollow glass microsheres offers benefits in catalysts, laser fusion targets, and electrically conducting bond line spacers. Conductive nickel-plated hollow microspheres are often used as a lightweight, lower cost, electrically conductive additive and an alternative option to silver. Zinc oxide (ZnO) coating offers numerous advantages as a semiconductor, as well as high refractive index, high thermal conductivity, binding, antibacterial and UV-protection properties. 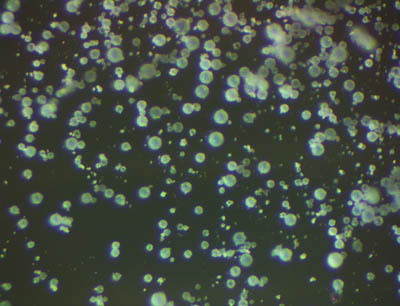 Glass microspheres coated with TiO2 in anatase form exhibit photocatalytic activity under ultraviolet (UV) irradiation. Excellent photocatalytic activity against a range of relevant organic pollutants and effective in reducing gaseous pollutants. 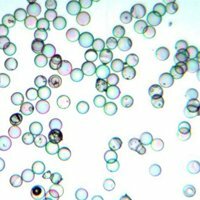 Hollow glass microspheres coated with rutile titanium dioxide (TiO2) and are designed to be high quality seeding material with excellent light scattering properties for high temperature applications in the experimental fluid dynamics and particle image velocimetry (PIV) industry.